Forex dealers said dollar strengthening against other currencies overseas as investors await a key Federal Reserve decision later in the day also weighed on the rupee sentiment. 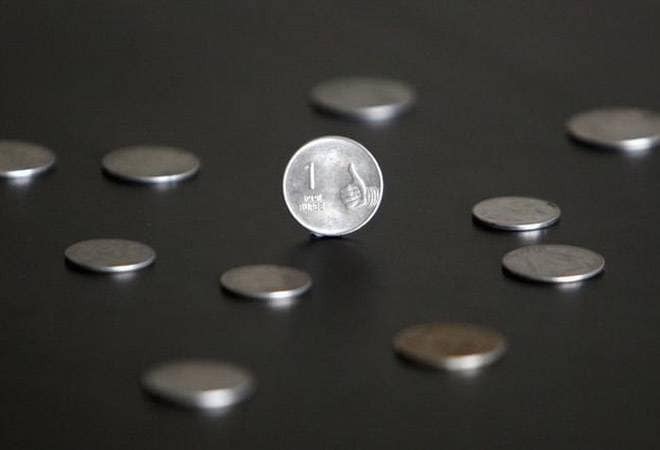 The Indian rupee fell 13 paise to 67.62 level against the US dollar in early trade today on increased demand for the American currency from importers amid foreign fund outflows and rising retail inflation. Forex dealers said dollar strengthening against other currencies overseas as investors await a key Federal Reserve decision later in the day also weighed on the rupee sentiment. However, a higher opening in the domestic stock market limited the rupee's losses, they said. Foreign institutional investors (FIIs) sold shares worth Rs 1,168.88 crore on Tuesday, as per the provisional data. Retail inflation jumped to a four-month high of 4.87 per cent in May on costlier food items such as fruits, vegetables and cereals coupled with high fuel rates. However, industrial production expanded by 4.9 per cent in April on improved performance by manufacturing and mining sectors as also a robust offtake of capital goods. On Tuesday, the Indian currency weakened marginally against the US dollar at 67.49, down 0.07% from its previous close of 67.43. So far this year, the rupee has weakened 5.4%. Meanwhile, the benchmark BSE Sensex rose 92 points, or 0.26 per cent, to 35,784 at 12:21 pm. The Nifty was trading 0.21% higher at 10,865 level.